In the past, Chevrolet has usually always offered the very first production model of any special vehicle, up for auction in order to benefit a non-profit, and it will be no different for the very first 2019 Corvette ZR1. 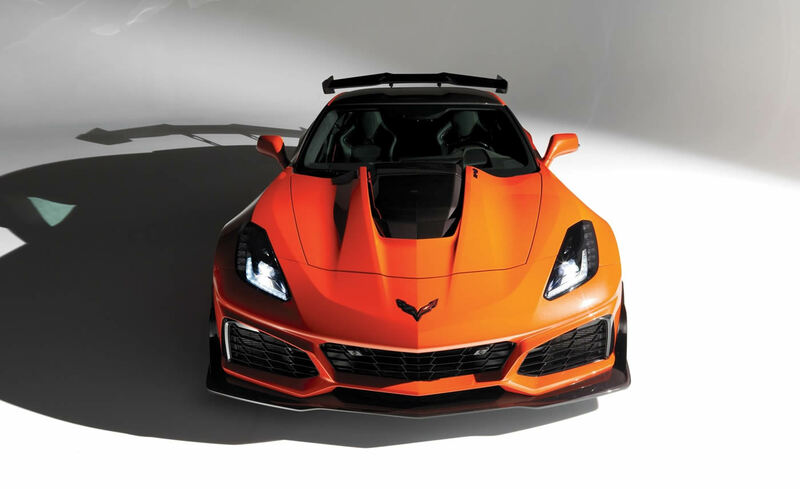 DETROIT — GM and Chevrolet will offer the fastest, most powerful production Corvette ever built for auction to benefit the Stephen Siller Tunnel to Towers Foundation and the work it does to support wounded veterans through the Building for America’s Bravest program. The Stephen Siller Tunnel to Towers Foundation is named for a New York City firefighter and first responder who died during the attacks of Sept. 11. The foundation builds mortgage-free smart homes for the most catastrophically injured service members through its Building for America’s Bravest program. These smart homes feature automated doors and lighting; wider halls and doorways; special showers to accommodate wheelchairs; automatic door openers; cabinets, counters and stove tops that can be raised and lowered; backup generators; and central heating and air conditioning systems that can be controlled by tablets. Each home is built with the goal of enabling the most severely injured heroes to live better, more independent lives. The Corvette ZR1’s exclusive LT5 supercharged engine, which is rated at an SAE-certified 755 horsepower and 715 lb-ft of torque, is establishing a new benchmark in performance. The ZR1 elevates Corvette’s track capability with two wind tunnel-honed aerodynamics packages, including an available High Wing that provides an estimated 950 pounds of downforce. An all-new front fascia is designed to channel air for propulsion-system and drivetrain cooling, with four new radiators bringing the heat-exchanger total to 13. A special carbon-fiber “halo” hood is open in the middle to clear the LT5 engine’s supercharger/intercooler assembly. Additional features including aero packages with stanchion-mounted wings help push the ZR1 harder onto the track for more confident handling and faster lap times. The ZR1 can reach a top speed above 210 mph. The ZR1 will offer two aero packages: a standard rear Low Wing, which delivers the highest top speed, and an available two-way-adjustable High Wing that offers maximum downforce on the track for the quickest lap times — about 60 percent more downforce than the Z06 with the available Z07 Performance Package. All models also feature a Chevrolet-first downforce-enhancing front underwing. The adjustable High Wing is part of the new ZTK Performance Package, which also includes a front splitter with carbon-fiber end caps, Michelin Pilot Sport Cup 2 summer-only tires and specific chassis and Magnetic Ride Control tuning for greater cornering grip. Both of the ZR1’s wings are tied into the chassis, like the Corvette Racing C7.R race car, for strength and stability.